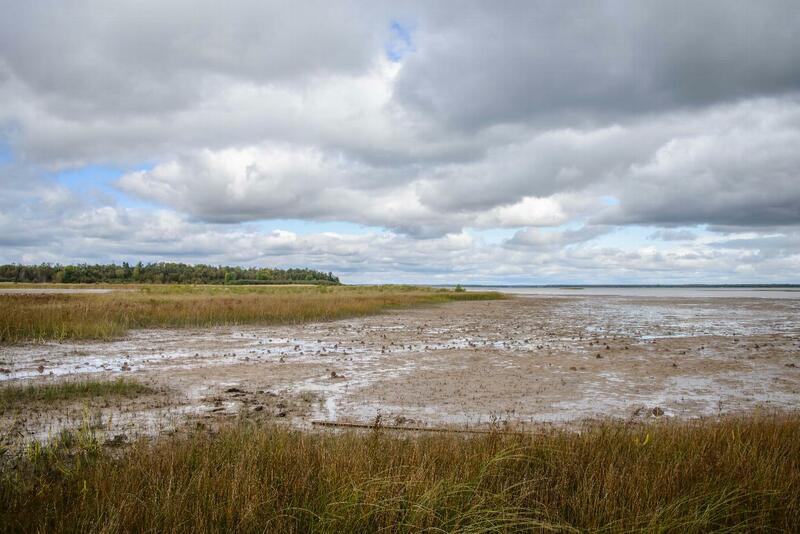 Formerly known as Roach Point Nature Sanctuary, several generous donations from brothers Mason and Melvin Schafer have made this MNA’s largest sanctuary. The sanctuary is a result of nine different acquisitions that began in 1978, with the final 259-acre donation coming from Melvin in 2010 after Mason passed away. 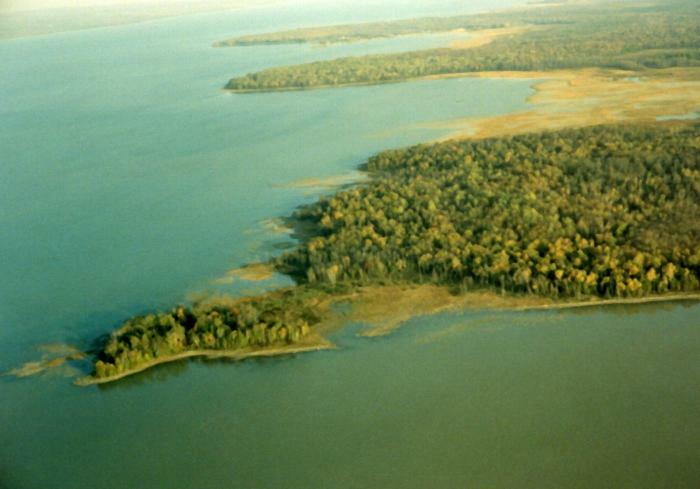 The sanctuary was renamed the Schafer Family Nature Sanctuary at Roach Point in 2011. The MNA Board of Trustees also created the Mason and Melvin Schafer Distinguished Excellence Award in 2011 in honor of the two to recognize exceptional volunteers to MNA, who have served at least 10 years. 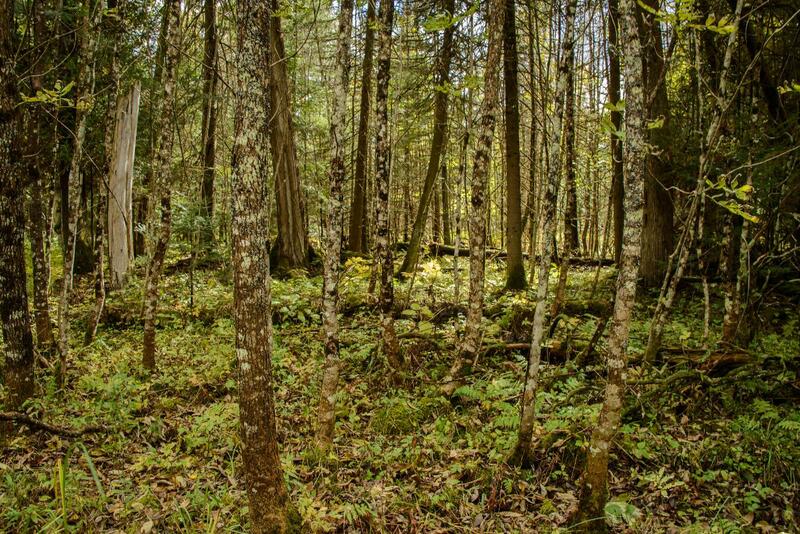 The forest at the Schafer Family Nature Sanctuary contains both northern mesic forest and northern boreal forest. The boreal forest consists of black and white spruce, tamarack, and balsam fir. Deciduous stands are composed of white birch, maple, and poplar. The central highest peak of Roach Point contains a sugar maple-hemlock forest. Spring is the wettest season at the sanctuary and boasts a large amount of wildflowers and visiting waterfowl to Munuscong Lake. Visitors experience incredible foliage in the fall, while winter brings opportunities to explore with snowshoes. There are no marked trails in the sanctuary, so proper footwear is encouraged. To access Roach Point, which juts into Munuscong Lake, visitors must hike along the sanctuary’s west edge. Spring at Schafer Family Nature Sanctuary boasts a large amount of wildflowers and visiting waterfowl to Munuscong Lake. Visitors experience incredible foliage in the fall, while winter brings opportunities to explore with snowshoes. The sanctuary is located in Chippewa County near Pickford. Follow Gogomain Rd 9 miles east out of Pickford until the sanctuary sign appears on the north side of the road.